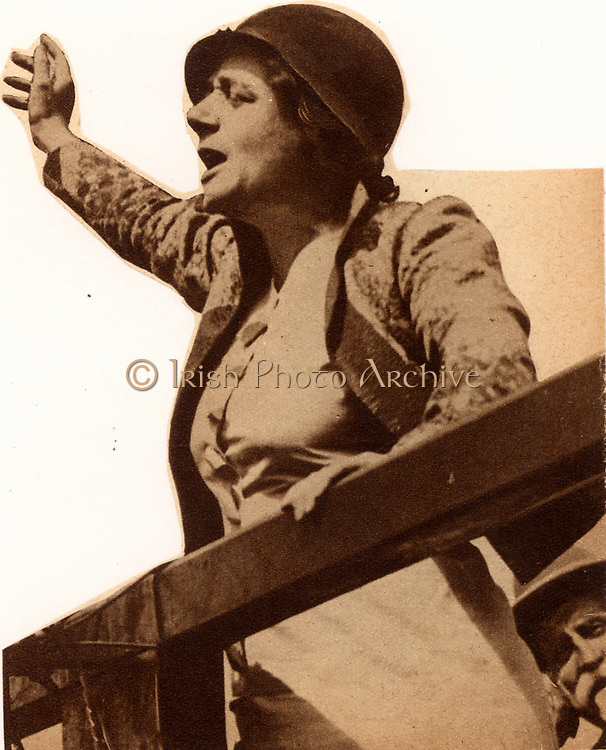 Ellen Cicely Wilkinson (1891-1947) English Labour (Socialist) politician and feminist, Member of Parliament for Middlesborough (1924-1931). Wilkinson campaigning for the Equal Franchise Bill giving votes to women between the ages of 21 and 25. The Bill was passed in 1928 and was popularly known as the 'Flapper Vote'.